Selva also offers a wide assortment of outdoor design furnishings and outdoor furniture on Lake Como, perfect for terraces, gardens and swimming pools. Loungers, deckchairs, tables, chairs, umbrellas, BBQ, outdoor kitchens, outdoor lighting and sofas are designed to withstand weather, salt air, and climate change. They also have special covers to prevent them from altering over time. 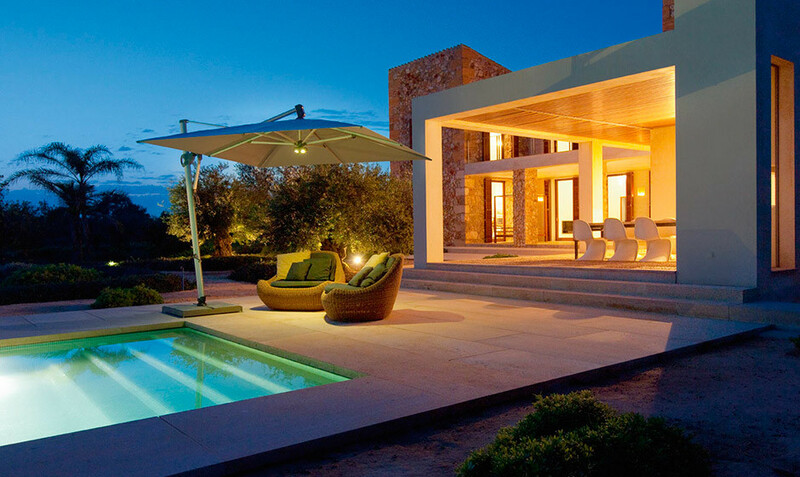 The design of outdoor furnishing deserves the right care: during the hot seasons, the open spaces, become wonderful extensions of the house, perfect for barbecues and aperitifs on the terrace; they are ideal for relaxing. To decorate gardens and terraces, Selva has selected a wide range of outdoor furniture that are perfect for both home and holiday houses. These are international design brands that combine great quality with comfort and beauty. Gervasoni is one of the most famous Italian outdoor furniture brands in the world, especially as far as it is concerned garden furniture in pith. His collection boasts collaborations with designers like Paola Navone, who lead to timeless products such as the InOut rocker or the Allu chairs. Manutti is a Belgian brand that offers outdoor furniture characterized by a style that resembles the Scandinavian mood, typical of Northern European countries. In addition to these, Selva also proposes Gloster and Emu as a brand of outdoor furniture.